I love turkey hunting. Yes, I am addicted to it. It is just such a rush! That being said, we all realize that we can have interaction with a turkey for long periods of time as we work him, or more than likely, he is working us. All that work and then suddenly, he leaves. No warning, no notice, no reasonable explanation left behind. So here is what happened today. I heard a gobbler down the hollow and I call and he answers. He continues to answer as he walk up to the top of this hollow. We continue to converse and he begins to come down, slowly, but he is coming. Around 30-40 yards from the bottom he just shuts down and I can't see him through the foliage. So I sit and wait, and wait and suddenly he is coming but no fan and not a sound. He fanned coming down once or twice but now-nothing. I think he is going to come in to the decoys and I am ready. Suddenly before he is in range, he turns away from the decoys and starts to leave but not before turning and fanning and then walks another 40 yards and starts to strut and walk back and forth at the end of this clearing. He puts on a show for 20 minutes. I try to call and he answers but he won't budge. After awhile, he just leaves. I am thinking, wow! what a show but what just happened here? 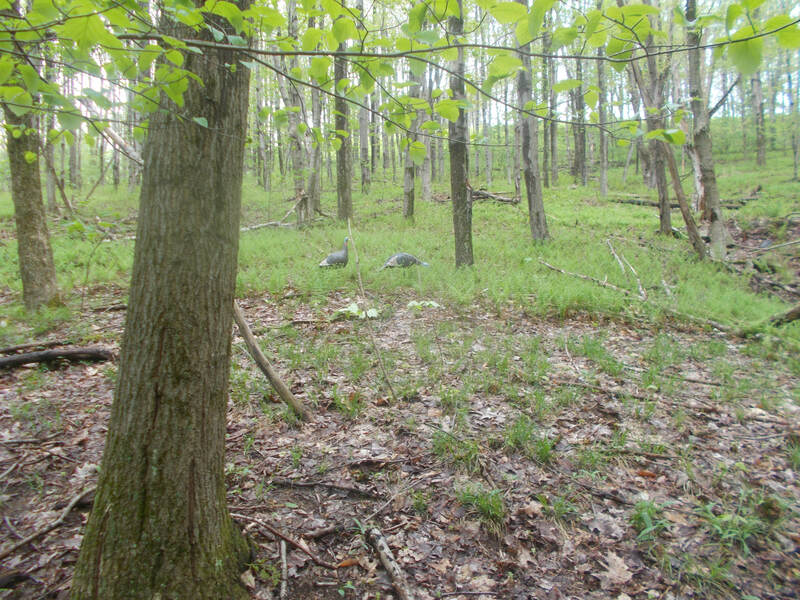 When he was at the end of the clearing, the decoys were positioned to be facing him. The whole event probably took an hour before he left. Exhausted from not breathing most of that time as well. I get really excited about this stuff! Anything look amiss with the set up? Any opinions on what he was thinking? I do realize that turkeys do what turkeys do. I get that. But was there anything else I could have done differently? It is against a toms nature to go to a call, the hens always come to him so I suppose that instinct kicks in at any time and can override his actions and he will hang up or retreat. I have no explanation why they do what they do. They have small brains and are scared of everything. More than likely he was working a hen in the area , knew the sound of her call , he checked your decoys but they did not move so he l may of heard her call and was on his way . He more than likely did a strut to see if the decoys moved . The Tom I took yesterday did not strut either he saw the hen he was after and was going to her , plus most of the hens have found their Tom so far this year . Thanks for the reminder on that. I forgot that a hen came through that area not far away as soon as I started calling when I first heard him. i had something even worse this year. i had at least 3 tome coming up the hill just screaming. at of a sudden i see movement and here is the hen. she comes right in to 15 yards. the toms never came to the top of the hill. they left her and went elsewhere. maybe another hen? Always tough to say for sure. Live hens that you may or may not even see or hear will be an obstacle for sure, but I think when they come a long way like that and the "hen" you're trying to impersonate doesn't move any closer they get nervous, and at some point in time just decide the risk is greater than the reward & assume the "hen" will follow if she's interested. Have had what you described happen many times. In one case, my bro in law was out working a field adjacent to where I was calling. He saw me come out of the woods after one of those long standoffs with a gobbler and asked why I didn't kill the coyote. I never knew it was there, but he watched it trot across the end of the field not 50 yards (probably much less) from where I set up in the woods. Based on where the tom was and the timing of when that yote came trotting by, it's likely that the tom saw the yote & decided to get out of there before he became lunch. I wonder how often something like that comes into play & you don't even know it. I would not have known had BIL not seen it while he was getting his equipment set up. Unfortunately the yote came in downwind & realized what he smelled wasn't matching up with what he thought he heard and vacated the scene before I could see him. I'm no expert, but have had a lot of luck over the years. This year alone I went one time and took four other hunters out, one time each, and we killed five birds. Number one thing I have found that really helps is place the hens facing YOU and away from where you think the tom will come from. I believe if the tom sees the hen looking at him he will hang up, some times, and wait for the hen to come to him and sometimes he just gives up and walks on. However if he sees the hen not looking at him he thinks he may need to come closer for the hen to see him and by now he is in range. Many other reasons they just get lock jaw and walk on, but we will never really know them all, that's what makes it so much fun. Try the decoy placement next time out and see if that helps. Good luck. I think what Lgpd said is good advice. 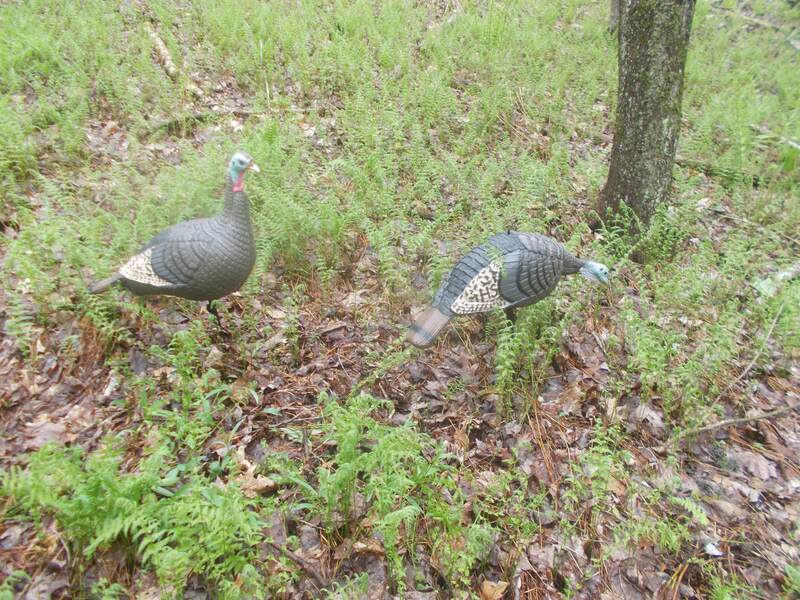 I find that when I use decoys, the toms seem to hang up when they see the decoy. Maybe they expect the "hen" to come to them. Without the decoy, the toms keep coming in, looking for the hen that keeps calling. Btw, I call very softly after spotting the tom and making sure he's coming in. I would say to guys are right when I use my decoy in a field a always face it so it's facing the woods if I expect the gobbler to come in from from field- it makes him think she is leaving without him I guess. You had a great day in the turkey woods it sounds like to me. Nobody knows what makes them do what they do!!! I have had days where I was sitting on a log 24 in off the ground no face mask no gloves gun unloaded leaning beside me not calling Gobbler lets out right in front of me at 50 yds in the woods I am sitting in the wide open I load my gun and shopulder it and he is there!! Bang!! didn't even call once!! LUCKY!!!! Ligpd, Michigan Louie and Bluetoe,Thanks, I did of the decoy placement later and thought of exactly what you all said. They were facing him so he probably could not figure out why they were not coming to him. They could see him but not respond. I did change them yesterday when I went out to that spot but unfortunately he didn't come in. Thanks for your insite!